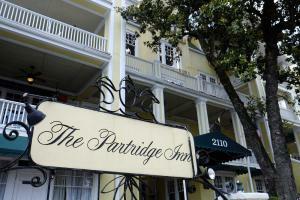 The Partridge Inn is on the fast-track for affiliation with a new Hilton boutique-style brand. The historic hotel on Walton Way, now in the midst of a major renovation, is among a handful of properties across the country approved for Hilton Worldwide’s new Curio brand, said hotel general manager Bill Mish. The process for The Partridge Inn to gain affiliation with Hilton began last summer, when the new owners were in due diligence to purchase the property through an online auction. Before renovations began, design elements and the level of amenities were chosen in line with Curio standards, Mish said. Features ranging from Internet speeds to TV setup and the rooms’ access system must align with Hilton’s criteria. Hilton Worldwide launched Curio in June. The grouping consists of once-independent, one-of-a-kind properties with a four- or five-star rating. There are now five properties under the Curio umbrella: Diplomat Resort & Spa Hollywood in Florida, Providence Biltmore in Rhode Island, SLS Las Vegas Hotel & Casino in Nevada, The Franklin Hotel Chapel Hill in North Carolina and The Highland Dallas in Texas. The properties selected for Curio brand affiliation range from boutique urban hotels to large beachfront resorts that must already have a local reputation or established brand identity, according to the global hospitality company. The changeover at Partridge Inn, including a new reservation and front office system, will likely occur within 30 to 45 days after the Masters Tournament is finished. The process usually takes about six months, Mish said. The five-story hotel is in the middle of a $6 million restoration, which includes repairs and an overhaul of all 144 guestrooms, bathrooms and hallways. Independent hotels see better marketing and lower operating inventory costs when they gain affiliation with a major hospitality brand. Brand affiliation with Hilton will require service at Partridge Inn be maintained at a superior level, Mish said. Guests will be eligible to earn reward points through the guest-loyalty program, Hilton HHonors. The Partridge Inn has been closed since early November and is expected to reopen in March, ahead of Masters Week.